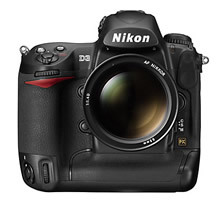 As expected, DPReview has published the Nikon D3 preview. It took an additional two weeks over the D300 preview and people started to wonder if Phil was allowed to preview the camera or if he even had it! THat he had the camera was obvious as some of the photos in the D300 review clearly showed the mighty D3.